Dr. Christopher J. Preston teaches and writes in environmental philosophy at the University of Montana, Missoula. He is author of The Synthetic Age: Outdesigning Evolution, Resurrecting Species, and Reengineering Our World (2018), Saving Creation: Nature and Faith in the Life of Holmes Rolston, III (2009), and Grounding Knowledge: Environmental Philosophy, Epistemology, and Place (2003), as well as co-editor of an anthology titled Nature, Value, and Duty (2007) and editor of a special journal issue of Ethics and the Environment on “Epistemology and Environmental Philosophy” (2005). From Minding Nature’s Spring 2010, Volume 3, Number 1 issue. A book in which Christopher Preston examines a future where humans have fundamentally reshaped the natural world using nanotechnology, synthetic biology, de-extinction, and climate engineering. 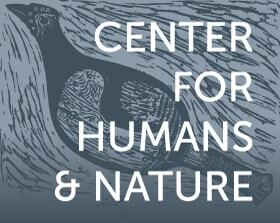 Christopher Preston's book about the "father of environmental ethics," Holmest Rolston, III. Read Christopher Preston's article in this special issue of Ethics & the Environment on Epistemology and Environmental Philosophy.